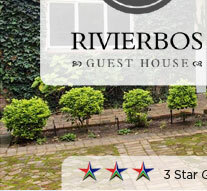 Rivierbos Guest House is located on the bank of the Eerste River in a quiet, leafy cul-de-sac off historic Dorp Street in central Stellenbosch. 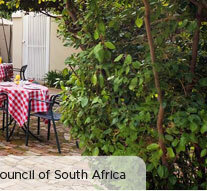 Rivierbos is the perfect blend of Old World charm and modern comforts, add central location and no traffic noise, and you have the sensible alternative in affordable accommodation offering. 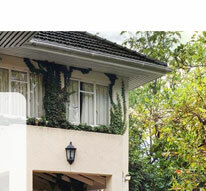 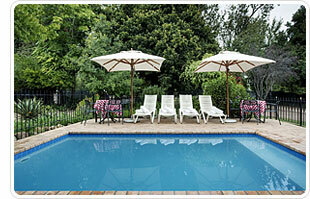 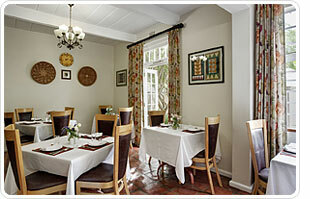 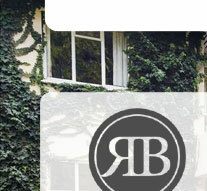 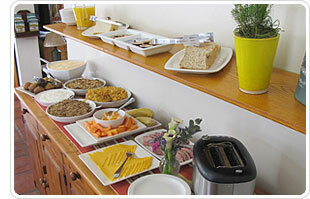 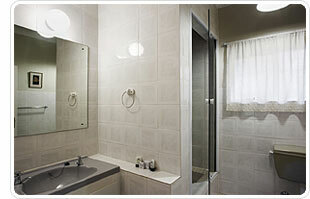 Rivierbos Guest House embodies an ideal blend of quaint charm, attentive service and modern comforts. 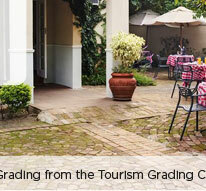 Our guests enjoy chatting or reading in the guest lounge or on the patio overlooking the verdant garden and swimming-pool. 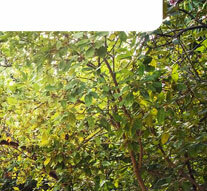 A historic water-well on the premises makes for an interesting peek. 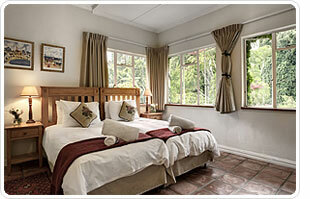 Standard Rooms have an en-suite bathroom with bath/shower, and are equipped with flat panel satellite television (DSTV), tea/coffee supplies and hairdryer. 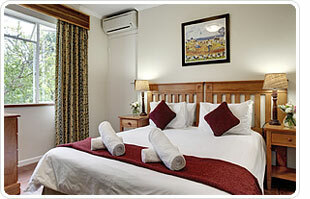 Our more spacious Classic Rooms have an en-suite bathroom with bath/shower, and are equipped with flat panel satellite television (DSTV), tea/coffee supplies and hairdryer.